If you had the opportunity to film your experiences in the Tame Valley Wetlands, what would they include? Walks? Wildlife? History? All this and more was the focus of a documentary made by young people in the Tame Valley Wetlands over the summer holiday. With the help of local film maker Simon Walker, the group from The Sanctuary in Castle Vale worked together to explore the wetlands, decide on the content of their film, and had a chance to get behind the camera and edit the final version. Nicola, our Youth Engagement Officer, helped the girls to explore new locations in the Tame Valley Wetlands, get up close and personal with our native (and occasionally non-native!) wildlife and learn new skills, the most important of which was obviously how to toast the perfect marshmallow! 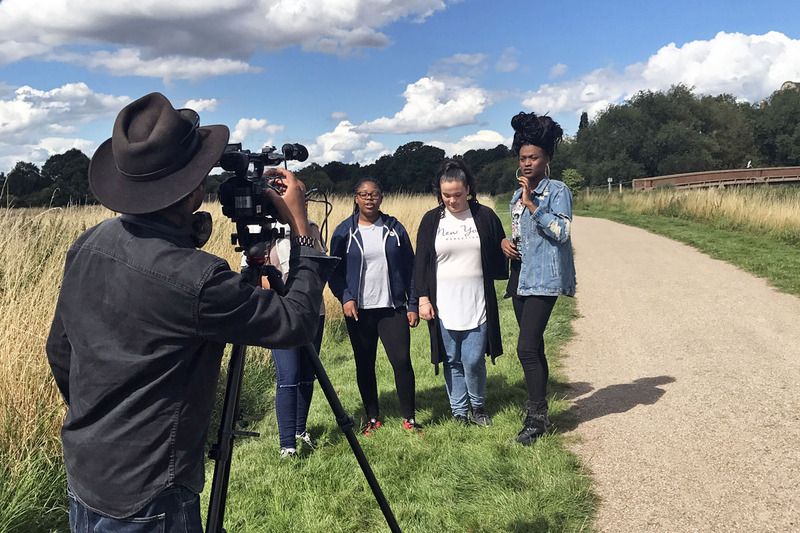 “We all had a really fun experience making this documentary, and it was amazing to see how the girls worked together over the summer to write the script and get the perfect shots to make the film, as well as exploring their local landscapes and learning about our local wildlife. This experience is something that they will remember for a long time”. This entry was posted in Latest News, youth on 2nd October 2017 by Ian Wykes.